Together we are starting a great time – time we call Lent, great Forty Days. Holy fathers and Church also call this time a spiritual spring, when our soul, our spirit have to wake up and fill itself with God and His light. 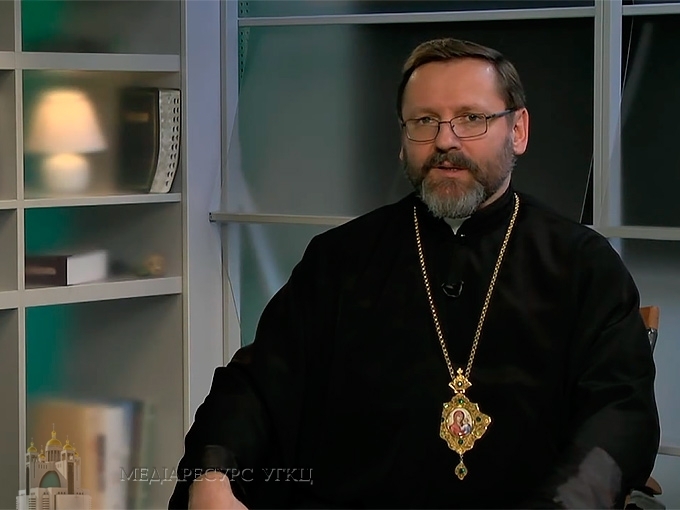 Said His Beatitude Sviatoslav, Head and Father of UGCC in a video message before the beginning of Lent. There are three pillars that serve to live a fruitful and righteous Lent. “Prayer, fasting and almsgiving are these three rules. We enter a time of Lent as a time of a great prayer, particularly the repenting one. I’d love to encourage and welcome all believers in this time of transition to Pasch of the Lord to spend more time with God, personally encountering Him”, said His Beatitude Sviatoslav. As Head of Church assumes, - prayer is nothing else but a deeply personal communication with God. “Either it’s a private prayer or a common one, let’s find time for God, devoting Him these Forty Days and opening our hearts to Him, our thoughts, our pain and wounds. Let’s trust all our needs into His hands. Let’s talk to Him”. “The second reason is fasting itself. “here we mean temperance, so to stay aside from everything what prevent us from meeting God. During the Lent, let’s refuse everything what distracts us. Let’s discover our spiritual drawbacks. Let’s deny things which lead us to a sin. May this temperance become a fasting of our souls and bodies”, the leader of Greek Catholics pointed out. Almsgiving is the last but very important component of Lent. “Let’s accomplish works of mercy, encouraged His Beatitude Sviatoslav, - drawing our attention to our needy neighbors. When we communicate with God, we learn to feel His presence. From people who are needy, let’s learn to see the presence of a living God, who said: “whatever you did for one of the least of these brothers and sisters of mine, you did for me. Thus, let’s help somebody out, instead of entertaining ourselves; what we have in rest – let’s give to needy and deprived as alms”. “I wish everybody to encounter sort of spiritual experience and intimacy with God, an experience of awakening and spiritual recovery and mercy. May God help us and draw us closer to Himself”, wished His Beatitude Sviatoslav.